The BB20 bottle has a Clear View Stripe and Ounce Markings. You can easily see how much water is in your sport bottle. You can also measure the amount of water you need by using the Ounce Markings on the side of the bottle. 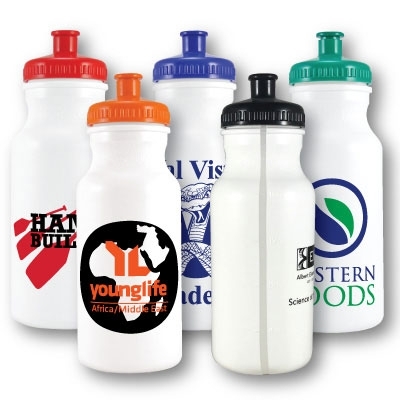 This product is the perfect item for Self Promos, Give Aways, Fundraisers, School PTA/PTO's, School Spirit, Walk-a-thons and much more. The low cost of the product makes the perfect choice when fundraising is your goal. Price Includes 1 color and location imprint.